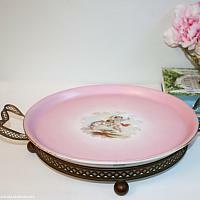 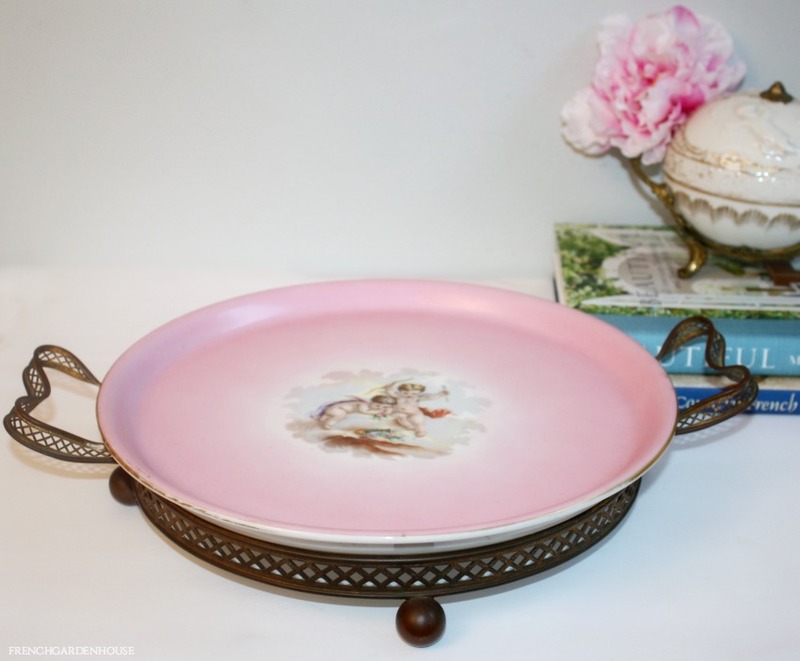 Antique French Pink Porcelain Plateau Tray, mounted in bronzed metal with hints of the original ormolu finish. 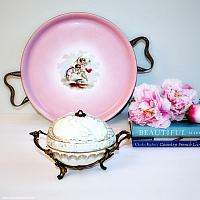 What a decorative beauty this is! Usually I find these all scratched, this one is wonderful. 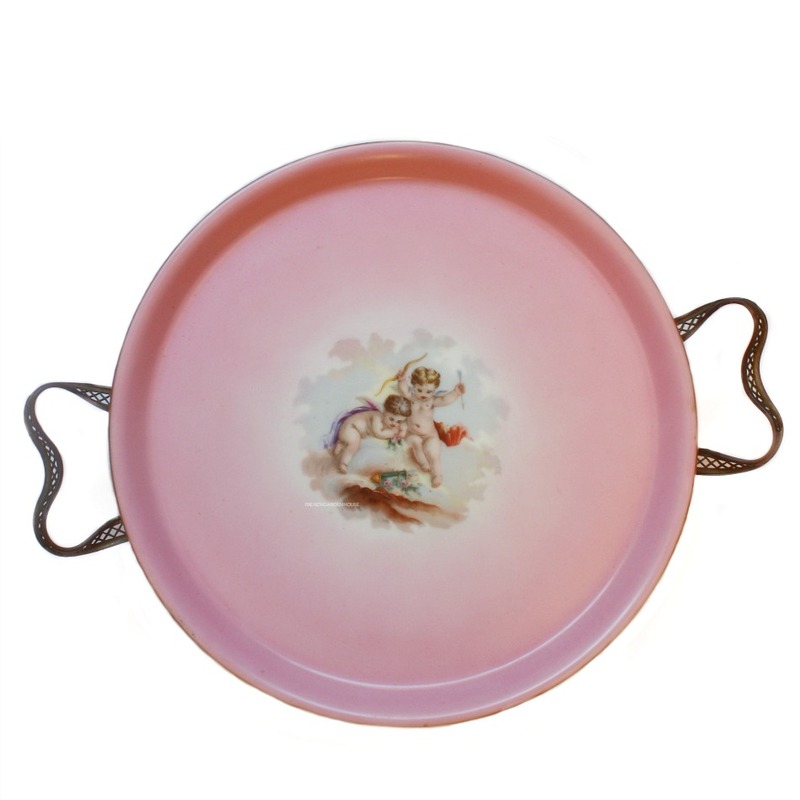 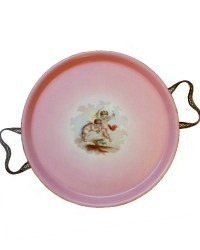 The porcelain circular plate is heavy, it has a hand painted pink background that fades from darker to light, and in the center two cherubs or putti frolic in the clouds. 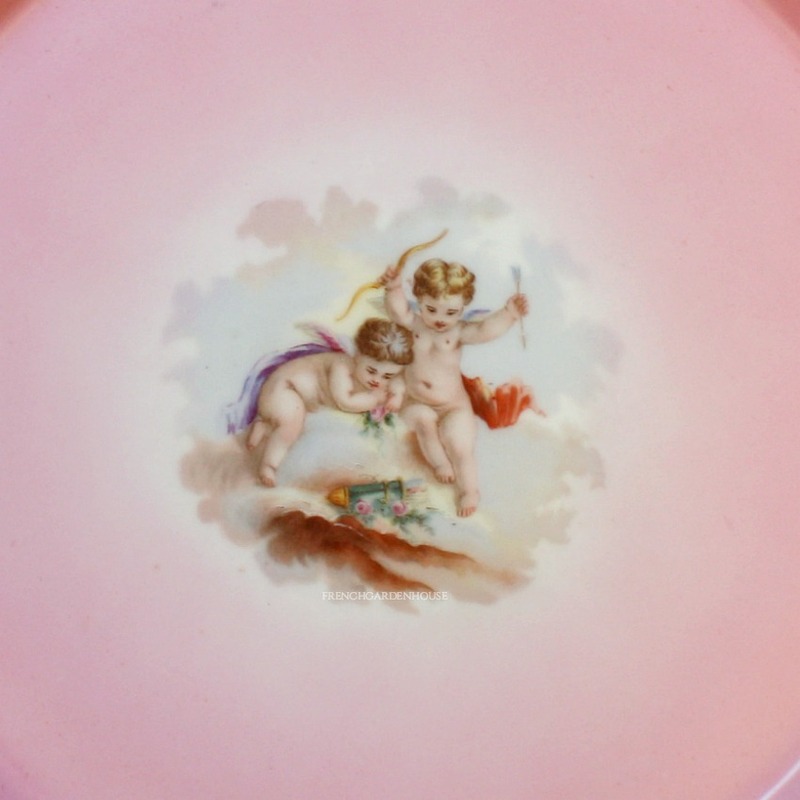 The cherubs have hand enameled accents. A rare treat for your porcelain collection, you can use this for entertaining, to display your antique perfume bottle collection on your vanity, or to display like the work of art that it is together with your Limoges pieces. 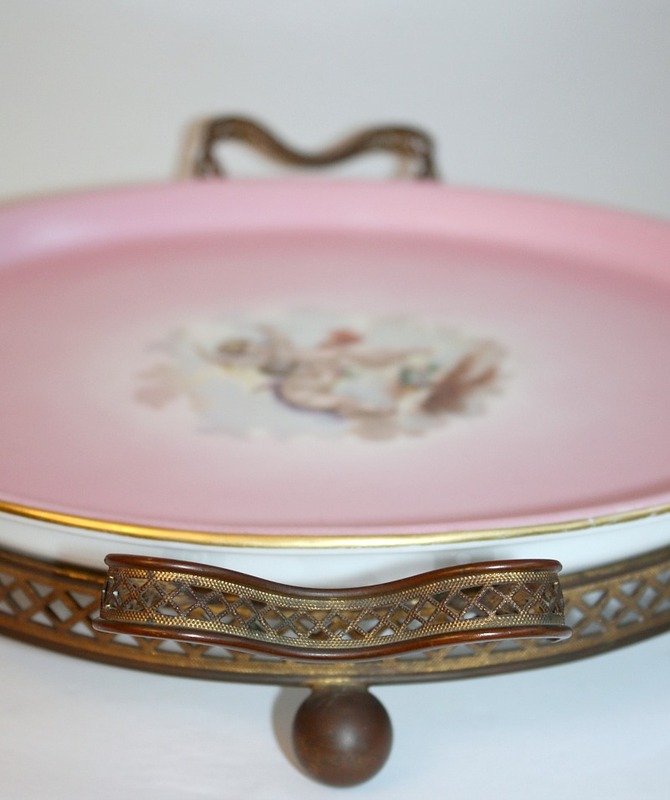 There is wear to the gilt plated metal as shown, it has mellowed over the years to a deep color with hints of brighter gold. 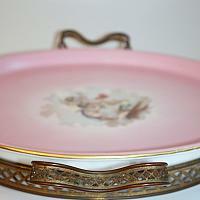 Measures 16-3/4" x 13" x3-3/4".